NextGen partners with following organisations in delivering our solutions in the best possible way to our end-users. Our partners are carefully selected based on their existing experience and market reputation. 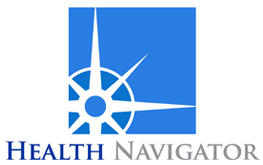 Based in La Grange, IL, Health Navigator is a privately-owned health information company. The Health Navigator platform is a comprehensive clinical vocabulary and decision-support system designed to support e-Health and telemedicine. HN is currently partnering with NextGen Health in developing AI based diagnostic decision tools…. NextGen Health Solutions leverages the experience of LabQ International in the fields of Quality Assurance, Clinical Research and IT applications for Pharmaceutical industry. 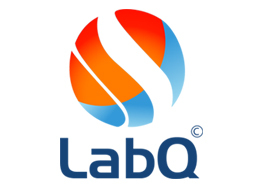 A few notable products of LabQ include, CATMUS (proprietary Clinical Trial Management System), CATvERS (Adverse Event Reporting System), Call centres for Pharmacovigilance reporting, AI led data mining solutions such as Publication Analytics and many more…. We are using Azure platforms and applications to power up our applications to leverage the security and redundancy of Microsoft to enable us to provide our services “securely” and “undisrupted”…. NextGen Health welcomes other healthcare companies and providers to partner with us in providing better Healthcare solutions, shared R&D, shared development of Healthcare Platforms and shared Learning. Please send all enquiries to partner@nghsolutions.com. NextGen Health Solutions is the home of innovative Healthcare solutions. We aim to develop cutting edge healthcare solutions that will revolutionize the healthcare industry. Our products have been designed for patients as well as aiding healthcare providers to seamlessly deliver their services. We are a company with a vision! Vision to see better, affordable and technologically advanced Healthcare for everyone and anyone.